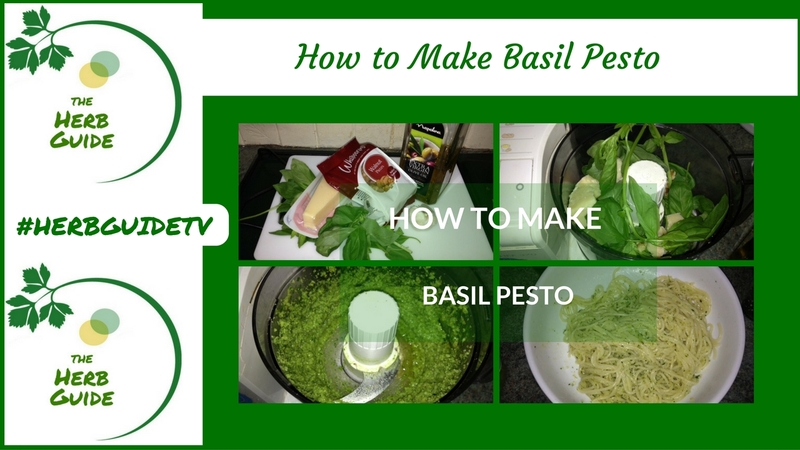 Cooking with basil - you'll be amazed how much it lifts ordinary meals. 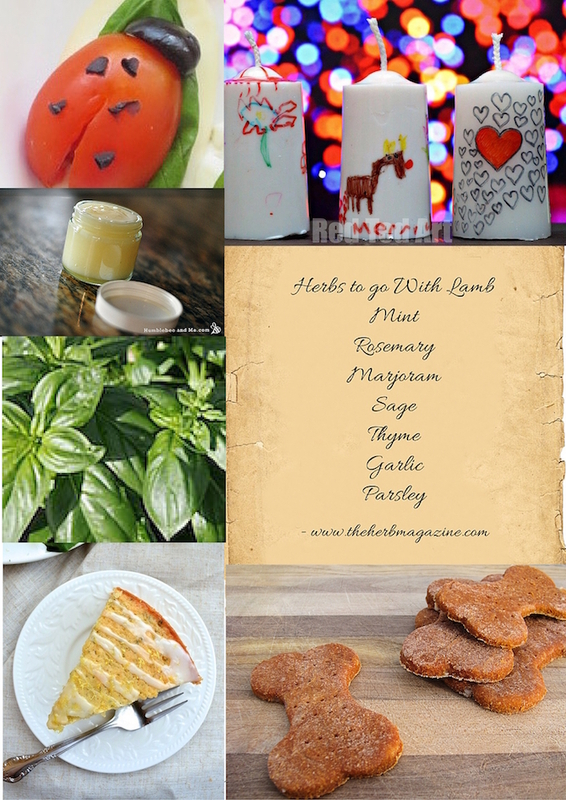 Basil has aromatic qualities that you won't find in many herbs - there are amazing health benefits of basil, it has been used for centuries for respiratory problems, as a laxative and sedative. A pot of basil in your kitchen may help to deter flies. It is so easy to grow indoors and it's always worth having a pot handy - the link there goes to an article which will help you choose between the different methods. I've got an Aerogarden as well as a Click and Grow - the Click and Grow is great for basil, I have three plants growing in it which provide me with more than enough. Overall, it's best to use basil at the end of your cooking time as it holds the fragrance and taste for longer. How to make basil pesto - easy *really* easy, quick and so tasty. There is a video (mine) to watch if you want to, alternatively there's a step by step photo tutorial showing you how to do it. Basil Pesto Pasta - I'm often asked 'Do you have to heat pesto?' No - you drain your pasta and then return it to the pan. Add about a tablespoon of pesto per portion and then stir it in rapidly. The pesto should just coat the pasta - add a bit more if you want. The heat from the hot pan and pasta combined, will melt the cheese and the result will be a gorgeous perfectly flavoured pasta. What can I use basil pesto for? Well, it's perfect with pasta but try popping it onto skinned chicken breasts and then cooking in the oven (400F) for around thirty minutes until the chicken is cooked through. You can add a slice of mozzarella and some sliced tomatoes on top before you put it in the oven. Can I freeze pesto? Yes, but it's better if you leave the cheese out, so grate it finely and stir it in after defrosting. Even the kids will love these - Caprese Salad is the correct name and if you want the traditional sliced mozzarella, tomato and basil salad click the link. 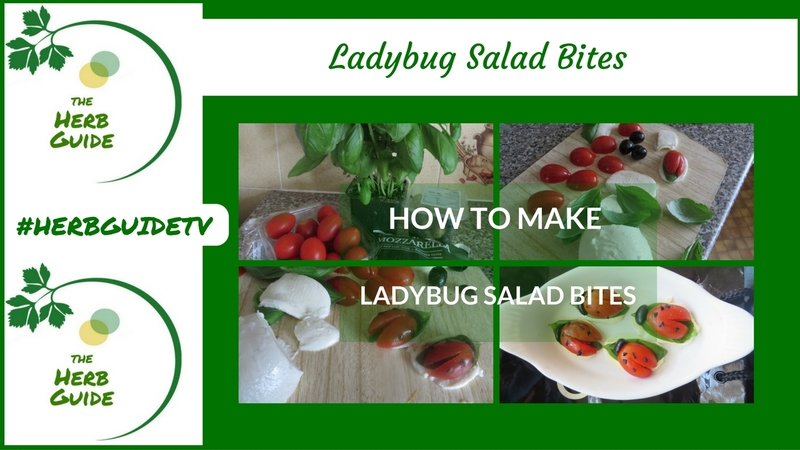 If you want to make an eye catching plate for a buffet, an appetizer or just to make people smile then tray these Ladybug Salad Bites. 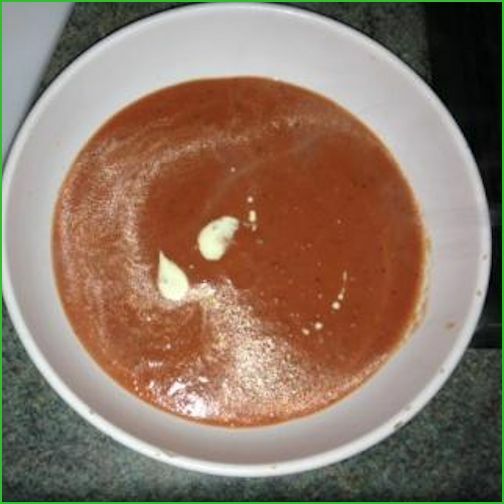 A creamy Tomato and Basil Soup - it's far better than any can you buy, cheaper and very quick to make. There's a step by step photo tutorial showing you exactly how to make it. I bet it's one that goes into the 'recipe folder' in your brain. I love it. 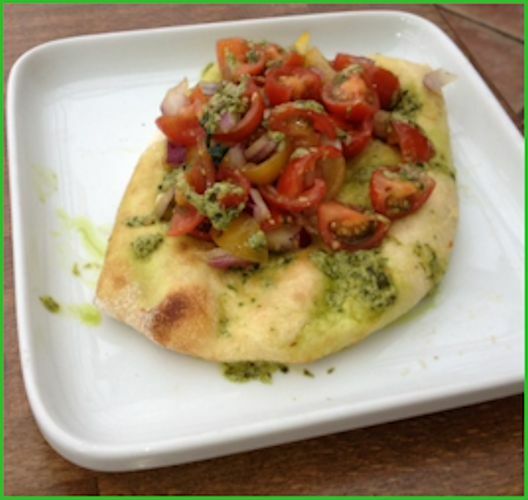 This recipe for flatbreads is gorgeous. You can drizzle some pesto over them too. they make a great lunch or you can use smaller bread - such as sliced and toasted ciabatta or french stick - and make stunning appetizers. There's some superb basil recipes here - Lemon Basil Cake, Basil and Tomato Dog Treats and a One Pot Basil Pasta. No shortage of 'cooking with basil' here. Plus some great info - getting a continual supply of basil and how to preserve it. It's the Herb Guide News Basil issue.